Boston is the capital of Massachusetts and the largest city in New England. It is rich in history, arts, and culture, with a cosmopolitan dining and shopping scene. XV Beacon is in the heart of downtown Boston, just 15 minutes by taxi from General Edward Lawrence Logan International Airport. This exceptionally tasteful hotel merges the old and new in aesthetic harmony. As you enter the XV Beacon, you'll admire its stately 1903 Beaux Arts heritage, and find yourself curious about the stories it could tell. Then you'll discover the sophisticated interiors, where the angles and curves of modern furniture perfectly complement the historic architecture. 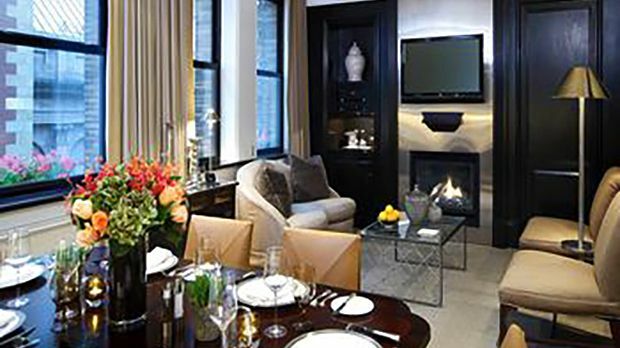 XV Beacon is boutique in scale - and in its emphasis on personal service. No two rooms are alike, but all have gas fireplaces, large poster beds, and heated towel racks. The customized bathrobes and slippers add to the feeling that you're being pampered in a grand private residence. The hotel's restaurant, Mooo, reinvents the steakhouse with modern cuts paired with wines from one of the country's finest lists, but you'll want to explore the sophisticated dining choices in the hotel's Beacon Hill neighborhood. Or maybe a hot dog at a Red Sox game is more your speed; it's all convenient from the XV Beacon. Send an availability request with your requested dates to the XV Beacon. Features a Queen bed, fireplace, complimentary WiFi, flat-screen TV, marble bathroom with rainforest shower and custom amenities. Features a Queen bed, fireplace, complimentary WiFi, large desk, sitting area and marble bathroom with rain forest shower and jetted tub. Features a canopied bed, fireplace, flat-screen TV, 24hr room service, nightly turndown service and roof deck. Room with two Double beds, bathroom with rainforest shower and jetted bathtub, sitting area, chaise lounge, fireplace, desk and complimentary internet access. 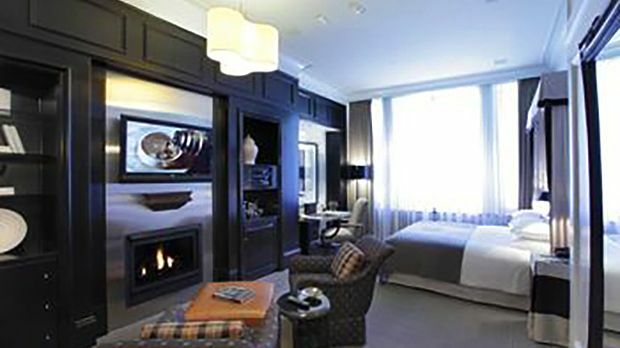 Features a Queen or King bed, fireplace, complimentary WiFi, large desk, sitting area and marble bathroom. Features a sun-filled sitting area with corner views of historic Beacon Street, rain forest shower, jetted tub, 24hr gym access and a large work desk. 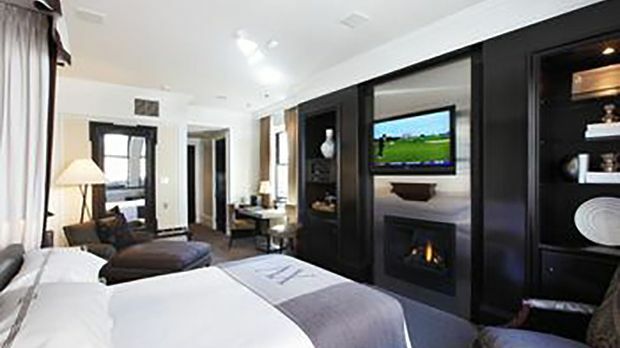 One bedroom suite with separate parlor, fireplace, rain forest shower, jetted tub and views of Beacon Hill. 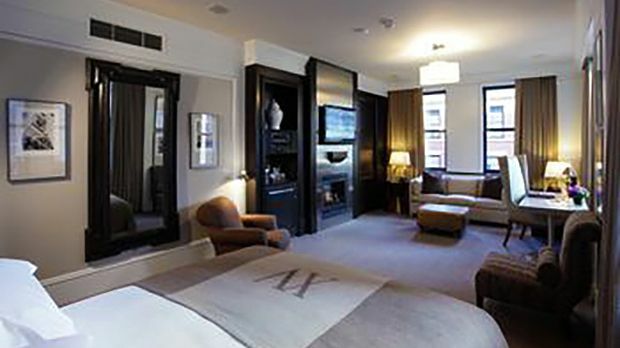 Two bedroom suite with two separate bedrooms connected by a parlor and dining room/boardroom table. Features a fireplace, rain forest shower, jetted tubs and views of Beacon Hill.